“a noteworthy miracle has taken place through [Peter and John] is apparent to all who live in Jerusalem, and we cannot deny it” (emphasis added) (Acts 4:16; see also vv. 13-14; John 3:2; 11:47-48). Today we’re back visiting what I last called a “wealth of articles” at the blog of Detroit Baptist Theological Seminary in Allen Park, Michigan. This is part one of a two part series, you need to click the link at the bottom to finish this study. Take your time machine back to late 2003, track me down on the campus of St. John’s College, and ask me who my favorite Bible character is, and I’ll tell you it’s Jacob. Why, you ask? My sophomore self tells you that it’s because God uses him in spite of his faults. In a book of hot messes, Jacob’s debatably the hot-messiest. But God gives him the name “Israel,” makes him the literal namesake of an entire race, and changes him dramatically over the course of his life. Jacob grows both in humility and courage; he learns to leave behind his swindling and cheating and to face the world honestly instead. Jacob’s story is hope for schmucks. Now, Switchfoot didn’t create my partiality toward Jacob, but they certainly helped. They released their breakout album The Beautiful Letdown in February 2003, and the closing track “24” both encapsulated much of my college experience and helped me get through it. (College was rough.) But there’s a line from that song, “I wrestled the angel / For more than a name,” which is a reference to Jacob’s experience in this chapter. Here Jacob spends a sleepless night grappling until daybreak with an unidentified man, who gives him the name “Israel.” Like Jacob’s Ladder from Genesis 28, it’s one of the events we tend to think of when we think of Jacob. And, fan of both Switchfoot and Jacob that I was, I latched onto it hard. But frankly, the role of Jacob’s wrestling match in my life does nothing to properly contextualize it for us. We find it in the narrative as Jacob is heading home, knowing that he’ll have to face his brother, who previously wanted to kill him. He sends out messengers to let Esau know he’s coming, splits his family and possessions into two parties to increase the odds of a surviving descendant, and sends waves of gifts on ahead as repeated signs of goodwill and contrition. Jacob’s scared. He knows he’s wronged his brother. But now he’s facing it straight. In the middle of all this, he prays a remarkable prayer. He tells God, “I am unworthy of all the lovingkindness and of all the faithfulness which You have shown to Your servant” (10). Jacob says, in effect, “I didn’t do this. You did.” He gives God the credit for his prosperity, and moreover, he admits that he and his garbage behavior have done nothing to merit it. This isn’t the same Jacob who scrambled through his early life to take what he can get. He’s growing, and he’s not done growing yet. Then comes the part where his family crosses the river Jabbok, but Jacob ends up in a wrestling match that lasts all night. Who is this guy that he’s grappling with? The text identifies him simply as “a man” (24), who refuses to tell Jacob his name (29). The man gives him a few parting gifts that don’t exactly shed light on the question of his identity, either. Jacob gets a blessing, a dislocated hip joint, and a new name. That name, Israel (יִשְׂרָאֵל), comes from the words for “God” and “to strive,” and the man explains: “You have striven with God and with men and have prevailed” (28). The NASB notes that “Israel” may be taken to mean “he who strives with God” or “God strives;” for all Jacob’s effort, perhaps we’re meant to understand that God has done all the heavy lifting by working in Jacob. And while we might possibly be looking at a pre-incarnate Christophany here, none of this means that the man was necessarily God. I’m not sure what to say in conclusion. This is another one of those huge passages that I feel I can’t do justice, even at my best. But in a sense, I don’t need to say anything in conclusion, because the story doesn’t actually conclude here. Jacob’s meeting with Esau still looms on the horizon, and tomorrow we’ll see how that goes. If you know already, try not to spoil it for everyone else. Another first-time author here. Mark DuPré is an associate pastor, a film professor, a writer and a musician. He lives on the other side of Lake Ontario to us, in Rochester, NY. This article appeared at his blog and is actually indicated as a part one in a series, so besides our usual encouragement to “click the title below to read this at source,” you might want to return to use the link below to navigate to subsequent installments. Romans 13:1-7 Let every soul be subject to the governing authorities. For there is no authority except from God, and the authorities that exist are appointed by God. Therefore whoever resists the authority resists the ordinance of God, and those who resist will bring judgment on themselves…. Therefore you must be subject, not only because of wrath but also for conscience’ sake… Render therefore to all their due: taxes to whom taxes are due, customs to whom customs, fear to whom fear, honor to whom honor. Jesus is recorded as marveling only twice. Once was at the unbelief demonstrated at his hometown of Nazareth. The other time was at the faith of a Gentile soldier, whom Jesus recognized as having faith greater than that of His own people. Specifically, the centurion’s demonstration of faith was based on his understanding of authority. He was a man who moved in his own authority, and was recognized as a man of authority. He knew how to take orders and how to give them. He recognized in Jesus someone with authority like him, but with power much greater than his own. Israel was often rebuked by God for her rebelliousness, and it’s clearly an aspect of human nature that is evident from Adam to the present. But we live in a particularly rebellious age, when even the idea of authority is under great attack. The very word “authority” is often expressed and often received as if it had the word “abusive” in front of it. But as we can see, the concept of authority is from God Himself (Romans 13:1b: “For there is no authority except from God.”). We can wring our hands over the misuse of authority all we want—and there will always be plenty of evidence for hand wringing—but the idea of authority is from God. So as disciples of Jesus Christ we must come to terms with what authority is, how it’s manifested in this earth, and how we are supposed to deal with it. The first issue with authority, however, is not a mental understanding of its various manifestations. It’s getting it straight in our hearts that we are to submit to or work with authority where we find it. Since authority is from God, it is to be honored. It is to be adjusted to, perhaps even bowed to in our hearts. There will be little true revelation of authority in our lives if we haven’t settled it that authority is an aspect of God worthy of our efforts to understand it the best we can, with the goal of recognizing it, submitting to it, and glorifying God in the process. The attack on the idea of authority is, at its foundation, an attack on God, as authority is from Him. The great struggle for many of us is the constant parade of abuses of it in history and even in our own lives. But man’s misuse of God’s authority doesn’t negate its reality. Neither should we let it blind us to where God’s authority is in our lives, so we may rightly position ourselves before Him and reap the rewards that come with faithfulness. While much of the rest of the world is blind to authority, dismissive of it, or even rebellious against it, the Christian should be eager to locate God’s authority in every aspect of his/her life. We should be eager to use that authority to bless and just as eager to submit to authority as unto the Lord. Prayer: Father, cleanse my heart of the rebellion that comes to the surface when I consider the issue of authority in my life. I repent of using man’s misuse of authority as an excuse not to follow You in that area. Help me to see where You’ve placed authority in my life, and help me to honor You in working with it. standing inside your gates, O Jerusalem. its seamless walls cannot be breached. as the law requires of Israel. the thrones of the dynasty of David. This psalm is one of David’s songs of ascent, probably written to be sung as God’s people ascended on their trip to Jerusalem for worship. Jerusalem, after all, is on a high hill, and there is no way to approach the city without ascending. This fact, and this psalm, never meant a whole lot to me until I actually visited Jerusalem. I had valued these pieces of Scripture, like all of God’s Word, but I had not truly understood the meaning and significance of a song meant for ascent. On visiting Jerusalem, I came to understand so much more about that beautiful city’s significance to God’s people from before David’s time to the present. During my trip to Israel several years ago, I was looking forward to visiting Jerusalem, and I knew it would be a powerful experience. I also knew about the importance and sacredness of this city to so many around the world. But honestly, I was not prepared for the incredible experience of walking its streets. I was overwhelmed by the beauty, history, and passion present there. The sense of culture is incredibly rich; history greeted me at every turn; and nearly every corner features an expression of faith. And at the center of it all is the site of the ancient temple: lovingly built, destroyed, rebuilt, reviled, revered, mocked, contested, and excavated for more than 3000 years. Seeing the temple within the city walls helped me understand so much about significance of this site in Scripture. The temple that stood there was high atop a mountain, towering over valleys below. It was huge, visible to everyone, and infused with the indwelling presence of God. It gave hope, guidance, purpose, a sense of unity, and faith to God’s people. A holy place, indeed! It’s truly impossible to describe the experience of seeing the remains of that temple and the city that surrounded it. Jerusalem is a capsule of much of human history—and God’s ongoing work among people—packed into a larger dose than I could swallow at once, much less communicate. But as our group ascended the temple steps—many of which are the same steps Jesus and his disciples walked on—our devotion leader read Psalm 122. And I understood a bit of why God’s people were and are drawn to the place where his presence was made manifest. I felt small in the presence of a holy God who has reached down to people and lovingly called them to himself throughout all ages. Turning around and looking down from that spot, I realized it’s no wonder David focused on Jerusalem in this song. All pilgrims would have passed through its gates, then its narrow streets, to reach the temple. Then, looking down from that holy place, they would have seen the city flowing around them, houses hugging the hillsides. It’s no wonder David prayed for the peace and prosperity of Jerusalem “for the sake of the house of the Lord our God” and “for the sake of my family and friends.” The security of the city meant the security of the temple, and peace in its spiritual center meant peace for everyone in the nation. They say that after you visit Israel, you’ll never be the same. It was true for me, and one of the many ways that visit challenged me was in hearing this Psalm of ascent as I climbed the ancient temple steps and prayed for peace in Jerusalem, this spiritual microcosm of the world. A prayer without answers, prescriptions, or solutions. A prayer without the arrogance of believing I know what is best. A simple prayer for peace and the best from God’s hand. Do you pray a similar prayer for the well-being of our nation, our churches, and our global community? I can’t wait to see the day when God truly does bring lasting peace to Jerusalem–and to the whole world. In the meantime, we don’t always know what’s best for the world around us, and conflicting priorities can make peaceful resolution seem impossible. But as God’s people, for the sake of God’s glory and the well-being of all the people God loves, it’s always appropriate to pray for peace and desire what is best in God’s eyes. Like everyone, we are tempted to limit our vision for the good life to what would make our own lives better (or more comfortable or easier or more apparently successful). Our prayers might change if, instead of wanting just what seems best for us and to us, we were to truly seek the peace and well-being of everyone. We don’t have to know what that means. We don’t have to have all the answers or stop grieving over the fact that people can, do, and will turn their backs on God. We simply have to agree with what God wants. And he will change our hearts when we do. He will help us see the world a little more like the way he does. The closer we get to God’s holiness, the more we long for peace and well-being within the city that surrounds us. From where we stand right now, if we open our eyes, we can see the whole world. And we are in the house of the Lord. From the series “The Christmas Story From Beginning to End,” we have thus far seen how Creation and The Fall both point to Christmas. After two weeks we are still no further than Genesis chapter 3! To speed things up let us consider the rest of the Old Testament. The presence of three different types of people within the Old Testament point to the advent of Jesus. These are priests, kings, and prophets. Priests point to the coming of Jesus. and you are to name him Jesus, for he will save his people from their sins. Matthew 1:21. Jesus can truly deal with sin in a way that no priest ever could. He had the credentials including being sinless. This was in contrast to all priests, but especially the High Priest who would be involved in his execution. Jesus also offered the only sacrifice that could be truly effective. He offered himself. The priests of the Old Testament filled many important functions, but the greatest was to point to the coming into the world of a better High Priest. And an effective sacrifice for sin. Kings point to the coming of Jesus. Up to this point, Israel had enjoyed something that no other nation could boast of; God was their king. However they wanted a king “like other nations.” This would be be like a teenager of a well-to-do family who, in wanting a flip phone like what their friends have, is willing to trade in their iPhone, MacBook Pro, Ferrari, parent’s home, and their parents to get one. It would be a ridiculous trade. God gives the go-ahead but with the warning that having a human king is not always going to be rosy. Though an imperfect man, David was a good king who was promised by God to have his descendants on the throne forever. As you look at the history of God’s people, you see that this does not go very well as so many of the kings, even when descended from David, were so incredibly awful. Perhaps the worst king of all was Herod, the king at the time of Jesus’ birth. He was ruthless and to make matters worse, was not even a legitimate king, not being a descendant of David. Jesus went on to be that good king, that good shepherd who, far from destroying lives like Herod, lays down his life for the sake of his sheep. The kings of Israel had a spotty history of sometimes being good and sometimes being downright atrocious. Whether good or bad, their very existence pointed to the coming into the world of a better king, the true King of kings and Lord of lords, God Himself. Prophets point to the coming of Jesus. You cannot read the story of Christmas in the Gospel of Matthew without noticing that Matthew really wants you to understand how Old Testament prophecy is fulfilled in Jesus. The presence of priests in the Old Testament points to the need for a rescue from sin. The advent of Jesus marks the coming of the great Rescuer. Are you being rescued? Do you know Jesus as Saviour? The presence of kings in the history of God’s people points to the need for godly leadership. The advent of Jesus marks the coming of the most godly leader you can think of, God Himself! Are you following Him? Do you know Jesus as Lord? The prophets of the Old Testament shine a spotlight on the future. The advent of Jesus marks the beginning of that future. Does your future shine brightly? Decisions. Decisions. What to choose? I am always glad when my wife is close at hand when I get dressed. How I knew what ties went with what shirts before I was married, I do not know. Decisions, decisions. Yet while I stress over ties, the world unravels. Decisions must be made by world leaders on how to deal with terrorism. Our current conundrum has arisen due to a complex interweaving of history, politics, economics, and yes, religion. Such complexity makes rocket science seem like a grade school project. I am glad I am not a world leader. You should be glad I am not a world leader too. Thankfully, not every decision in life is so hard to make or so mired in complexity. Let’s take a moment to think on one from Deuteronomy 30. Bible scholars tell us that the expression translated “not too hard,” could be translated as “not too mysterious,” “hard to understand,” or “incomprehensible.” In other words: this is not rocket science. Nor is it kept hidden. God’s people need not go on a search in heaven or across the sea for the answers to big questions like “who is God?”, “who are we?”, and “what is expected of us?”. God has revealed it. In fact “the word is very near to you; it is in your mouth and in your heart” if indeed they were listening back in Deuteronomy 6:6-7 when He said “Keep these words that I am commanding you today in your heart. Recite them to your children and talk about them.” God has revealed enough of Himself, His purposes, His covenant, and His expectations that His people ought not to be confused. As they stand ready to enter the Promised Land, it is crystal clear who God is, who they are, and what is required of them. While some translations have “for that,” i.e. the act of choosing God, loving and obeying Him, “means life to you”, another possible translation is “For the Lord is your life”, as the NIV has it. Either way, God’s people are called upon to choose the Lord, to choose to obey His law, to choose life. All these go together. Given the consequences this was an easy decision to make. In other words, salvation is not something impossible for us to attain, like going up “into heaven . . .to bring Christ down” or going down “into the abyss . . .to bring Christ up from the dead.” Those are examples of things we of course can not do. In fact salvation is not even something we do. It is something God does for us in and through Jesus Christ. God “is generous to all who call on him. For, ‘Everyone who calls on the name of the Lord shall be saved.’” (Romans 10:12-13 NRSV) Our part is to call upon God, to trust Him, to repent from our sins and turn to Him in Christ. It was for us that Jesus chose death. Our part is to choose life. It is not hard to figure out what to do when confronted with the consequence of God. It is not hard to figure out what to do when confronted with the love of God. It is not hard to figure out what to do when confronted with the grace of God, the holiness of God, the justice of God, the power of God, the reality of God, the evidence for God, the Word of God, the Son of God, the Spirit of God. We have the opportunity, one we don’t even deserve, to make a decision: to choose life. Did you notice when the call to decision was made for God’s people in the days of Moses? It was before they crossed over the Jordan. Did you notice from God’s Word in Revelation that the book of life is opened to be read from rather than written in? No angel will stand with pen in hand waiting for you to make your choice. Now is the time to make that decision. Now is the time to choose life. Clarke Dixon is a Canadian Baptist pastor who blogs a sermon summary weekly at Sunday’s Shrunk Sermon. Life and God. Before You Take Another Step . . . There is a God, but religion is for those who are into that kind of thing. Or so would say many people who go through life believing in God without much of an understanding of who God is. They believe that God exists with a kind of “there is Someone out there watching over us,” but as for being able to describe God, they would rather leave that for the fanatics. It is a bit like those who own a car, but leave the tinkering to the mechanic, or own a home, but leave the renovations to the handyman. As for knowing much about God, leave it to the pastors and Jesus-freaks. Leave it to the people who are “into” that kind of thing. But is this enough? Is wise to go through life with such an ambiguous sense of who God is and what God is like? Before God’s people can take the next big step, they must commit to loving God with all they’ve got and with all that they are. The first thing to note is that it is very difficult to love someone in such a way if you don’t know them. And we should note that in this very verse, God has already made clear who it is they must love. It is “The LORD” that is to be loved. Whenever we encounter “The LORD” all in capitals in our English Bible translations we must understand that this is standing in place of the name God has given for Himself. This name is considered so holy that God’s people, especially among our friends in Jewish circles, do not dare pronounce it. So we say “the LORD” instead. The point is that this is not God in some generic sense that is to be loved. This is a very personal God who has revealed Himself, making Himself known, even by name. 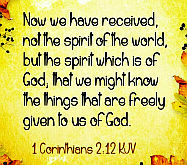 God’s people will not be taking another step without committing to loving this very God they are in relationship with. 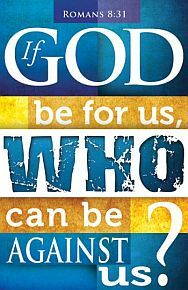 There is no ambiguity at all here about who God is. In order to love the LORD, you must know the LORD. Notice that Moses does not say, “There is a God” which ends up being a rather vague statement, but rather and more specifically, “The LORD is our God.” And it is “the LORD alone” who is our God, not some other god. The identity of God is not in question for God’s people as they prepare for their next step. There is no ambiguity at all here about Who God is. You cannot fear, or give the highest reverence and honour to, God if you have an ambiguous idea of who God is. As they stood ready to enter the promised land, God’s people knew exactly whom they were to fear. You cannot obey God if you have a vary vague notion of who God is. As they stood ready to enter the promised land God’s people knew exactly whom they were to obey, and what laws He had given. You will be of no help to the next generation in learning to love, know, fear, and obey God if your knowledge of Him is very vague. As they stood ready to enter the promised land, God’s people knew exactly whom they were to nurture their children’s faith in. As they stood ready for the next step, God’s people had a very specific knowledge of God. He is the One who rescued them from Egypt, He is the One who led them these last forty years, He is the One who revealed His name to them, He is the One who revealed His law to them, He is the One who is keeping His covenant promises. He is the One who will go with them into the promised land. He is the Creator. No ambiguous knowledge of God here. And we know even more about God today. He is the One who came to us in Jesus Christ to teach us how to live, to show us how to love, to redeem us through His death, to give us hope through His resurrection, and to call us through His Spirit. There is so much more we could say about the identity of God, but I will just refer you to the entire Bible to find out more. For now, let me encourage you to not take another step in life without first taking a leap into the arms of Jesus. There is no need to go forward with an ambiguous sense of who God is. You can forward in relationship. You might leave fixing cars to mechanics and renovations to a handyman, but don’t leave knowledge of God to those who are “into that kind of thing.” You are the car in need of repairs, you are the renovation project. God is the mechanic, God is the handyman. Don’t take another step without leaping into His arms. You can face each step ahead, even if that step is forward into death, with God’s presence, with a knowledge of God, knowing and experiencing His power and love. Today’s devotional comes from the website Daily Manna, a ministry of Deeper Life Bible Church, which originated in Africa with Pastor W. F. Kumuyi, but now has churches around the world including branches in the U.S. and Canada. As always, click the title below to read the devotional at source. Key Verse: “…So was Israel carried away out of their own land to Assyria unto this day” (2 Kings 17:23). The dealings of God with the children of Israel reveals a lot of paradoxes: Israel, without deserving the love of God, enjoyed a unique favor and blessing from Him. Apart from that, the original purpose of God for Israel was that they would honor Him and be a light to the world. That is, through them the blessings of God and the word of God would flow to the whole world. What God expected from Israel in return was to be wholly devoted to Him and obey His commandments. But while God is faithful, Israel demonstrated fickleness of character and unfaithfulness to the covenant of God with them. In Exodus 19:8, the children of Israel solemnly promised: “… all that the Lord hath spoken, we will do.” Yet, in Jeremiah 44:16, they defiantly recanted: “… as for the word that thou hast spoken unto us in the name of the Lord, we will not hearken unto thee.” Such betrayal cannot be tolerated by men, let alone God. In the passage today, we see one of the examples of the treacheries of the children of Israel. They practiced the evil customs of the surrounding nations, worshiping false gods, accommodating pagan customs and following their own desires. Israel had forgotten the importance and benefits of obeying God’s word. The King and the people had become mired in wickedness. Time and again, God warned them of the danger of turning away from Him and calling them to return. Eventually, Israel was swept away just as God’s prophets had warned (Jeremiah 25). Sometimes, obeying God’s precepts is difficult and painful but better if we consider the consequences of disobedience. We need to determine to be God’s people and ask for grace to do what He says, regardless of the cost. God’s patience and mercy are beyond our ability to understand. He will pursue us until we either respond to Him; or, by our own choice and hardness of heart make ourselves unreachable. Then, God’s judgment will be swift and sure. THOUGHT FOR THE DAY: Man is free to obey God and reap the benefits; or disobey Him and face the consequences. NIV 9:6 It is not as though God’s word had failed. For not all who are descended from Israel are Israel. Those of us who are non-Jews (ie Goyim) often believe that Judiasm is a wonderful combination of both ethnic and spiritual heritage; that to be a Jew constitutes both ancestry and ‘membership’ in the Jewish ‘church.’ But in an interesting turn of phrase, this verse points out otherwise. In the Old Testament era, natural descent did not automatically guarantee inheritance of the promise. God chose who should inherit it. This principle is evident in the families of Abraham and Isaac. Many that descended from the loins of Abraham and Jacob, and were of that people who were surnamed by the name of Israel, yet were very far from being Israelites indeed, interested in the saving benefits of the new covenant. They are not all really Israel that are so in name and profession. It does not follow that, because they are the seed of Abraham, therefore they must needs be the children of God, though they themselves fancied so, boasted much of, and built much upon, their relation to Abraham, Matt. 3:9; John 8:38, 39. But it does not follow. Grace does not run in the blood; nor are saving benefits inseparably annexed to external church privileges, though it is common for people thus to stretch the meaning of God’s promise, to bolster themselves up in a vain hope. Paul comes quickly to the heart of the matter: the reason God’s word will achieve its purpose, is that its scope with regard to Israel of the flesh was never universal in the first place: it is implied to us here that only some of those who are of Israel of the flesh will also be members of the Israel with which God is ultimately concerned and to which therefore the word of God was actually directed. What is incidental then but nevertheless worth stating, is that given that there can be no fleshly criteria by which one who calls upon the name of the Lord might be excluded from the Israel with which God is ultimately concerned, such Israel will highly likely be far greater in number than Israel of the flesh. AMP 35:10 Again God said to him, Your name is Jacob [supplanter]; you shall not be called Jacob any longer, but Israel shall be your name. So He called him Israel [contender with God]. NIV Footnote Israel probably means he struggles with God. So now, to mash it up a little: Not all who are Israel by heritage wrestle with God. For the Christian who considers himself/herself to be spiritually Israel, the parallel is that not everyone who claims to be a Christ-follower truly wrestles with God. Yet this is exactly what God wants. He wants you to get on the mat and wrestle with him in every respect: his commandments, his ways, his truths; engaged, considered and then owned; all of this not in a detached, or sterile academic sense, but in community with him. For further study, read the whole chapter, Romans 9. The first image, no doubt from The Brick Bible, is from the blog Stonewritten; click the picture to link. 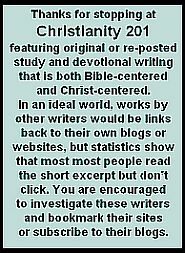 The second, which could well be one of the most accurate online, is from the blog Living The Gospel; click the picture to link. The reference is to the story in Genesis 32. Although today’s post is a little longer, I want to introduce you to Cindy, who lives in the Hawaiian Islands and blogs as Cindy By The Sea. Romantic, huh? Her blogs posts feature a mix of politics and current events combined with scripture. This one was posted last month under the title The Dividing Line. In the early morning hours of September 4, a powerful earthquake shook residents awake in the city of Christchurch, New Zealand. At an estimated 7.1, it was the most powerful earthquake to strike the region in many years. I find it interesting that the epicenter for this earthquake should be a city called Christchurch on the day following two very significant headlines making news on September 2. On the day prior to the New Zealand quake, two headlines (among others) competed for attention. One was the Mid-East peace talks taking place in Washington DC and the other was the announcement by world-renowned scientist Stephen Hawking that the universe was not created by God, but, was rather a spontaneous event related to the law of gravity. For these two headlines to share space on the same day can hardly be called coincidence. The Bible tells us of course, that the heavens declare the glory of God and the reality of his existence. It doesn’t take the mind of a Stephen Hawking, a powerful telescope or a degree in physics to tell us this. All it takes is a look in to the night skies for the simplest of people to understand. Through the heavens God has made himself known; through Israel, God has made himself knowable. In other words, it is Israel who bears witness to a knowable God. A God who has made himself known, a God who loves us so much that he sent his only Son, a God who has a plan for our future and knows the beginning from the end. A God who chose Israel to be his instrument of grace (specifically fulfilled in the coming of the Messiah). I believe the headlines of Sept 2 clearly outline the choices we face today, whether people realize it or not. Do we choose a Stephen Hawking world and the humanistic philosophy which naturally follows or do we stand with the God of the Bible in support of Israel? Lines are being drawn now and in the not too distant future, it will become increasingly difficult to have a foot in each camp – in fact, it will become impossible. I thought it was interesting that the James Lee, Discovery Channel hostage situation occurred the same day as the Hocking announcement. A clear indication to anyone paying attention of the natural outcome (tragedy and death) of a humanistic, self-centered, ”no-God” society. Mr. Lee, a deranged individual (or perhaps just a strong proponent of the earth first propaganda that has been force-fed to us by the humanistic environmentalists) who believed with such fervor that humans and the birth of new babies are the scourge of the earth; so much so, that he was willing to take up arms to prove his point. When the walls crumbled in Christchurch, it may have been a warning for the church of Laodicea, that you can only straddle the fence so long before you will fall. Like the house built on the sand, without the firm foundation of Christ; collapse is certain. Sadly, the humanistic philosophy of the culture has infiltrated the teachings of the church which bears his name. And, among the many heresies which have crept into the body, none is more insidious and sinister than that of doubting the truth and infallibility of his word. Evidenced by a number of things such as – the acceptance of the gay agenda, support of abortion rights, denial of creation as outlined in Genesis, denial of the miracles of the Bible, denial of Jesus as the only way and denial of God’s calling and purpose for Israel, among a whole host of other things. In these last days, God has brought Israel to the forefront and what happens with Israel is instrumental to the return of Jesus. In Matthew 25:31-46, we read of the judgment of the sheep and goats -in this passage, the sheep and goats are separated. And, the basis on which they are separated is this: how the brethern of Christ (Israel – the Jews) have been treated. 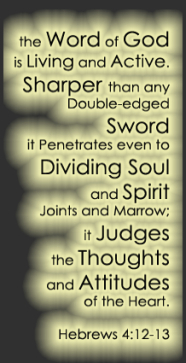 Take note Quartet and all others who doubt God’s word and who seek the division and destruction of Jerusalem, this is the dividing line for nations and it is on this basis, by which you shall be judged.